We have been experiencing technical problems with our equipment, which have made it difficult for people to reach us. We apologize for the inconvenience and frustration these issues have caused. We are currently in the process of upgrading all of our systems. If you are unable to reach us by phone or fax, please e-mail us through docs@milehighobgyn.com. Thank you for your patience as we make these improvements that will enable us to serve you better. At Mile High OB/GYN, we offer state-of-the-art women’s healthcare at two convenient locations in the Denver area. Since opening our doors in the 1950s, we have worked to provide women with exceptional obstetrical and gynecological services. Our care is highly personal. We offer the latest treatment options, and our goal is always to help patients achieve their best health now and for decades to come. Mile High OB/GYN is a proud recipient of the Greenwood Village Best Businesses Award, an annual awards program which honors the best of the local businesses in our community. Read more in our press release. The Award represents Mile High OB/GYN's positive image as a small business through exceptional service to our customers and community. We strive to do our part to make our local community a great place to live, work, and play. Fill out your patient forms and review our office policies in advance to save time during your first visit with Mile High OB/GYN. 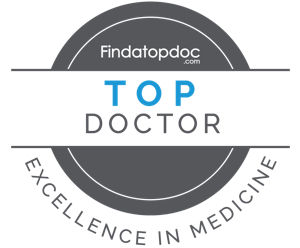 Our team of expert physicians is led by Dr. Reid Goodman, who is carrying out the tradition of excellence that his father and our founder, Dr. Stan Goodman, created when he opened Mile High OB/GYN more than six decades ago. Our team is dedicated to every aspect of women’s health, bringing together the latest technology and medical advancements with years of experience. We are proud to provide compassionate, highly specialized, and individualized care for every patient. "Taking care of generations of women’s health is an honor and a privilege for me." "I believe an educated patient is an empowered patient." "I believe that providing high-quality care means actively engaging my patients in the decision-making process." "I cannot imagine a more fulfilling vocation than obstetrics/gynecology, a specialty that enables me to empower patients to take care of their own bodies throughout life." "My approach to healing has always been to listen, educate and provide personalized care that meets their specific needs"
The office staff was very friendly and my wait was very short. The office staff is polite and the office is clean. Filling out the forms as a first time patients was easy and the Dr. saw me right away – at the time I was scheduled. The staff was really nice and courteous. There is perhaps no more exciting time in a woman’s life than when she is having a baby.